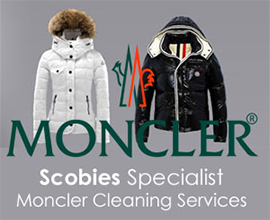 Scobies offer and provide a top quality laundry service with a superior finish and attention to detail for private households and businesses. Your table and bed linen can be professional laundered and returned crisp, fresh, and ready for use. We can launder a variety of garments from: day dresses, shirts, jeans, T shirts, underwear, nightwear, bathrobes, table and bed linen. We offer a specific work shirt service and clients may choose if they require the shirts to be folded or hung on hangers. Scobies offer a specific Collection & Delivery service for customers from either home or place of work. If you are unable to find the time to take your laundry or linen to either one of our branches, please call 020 8693 2754 or email us at scobiesvalet@btconnect.com and we will collect* your items for cleaning and return them in pristine condition.